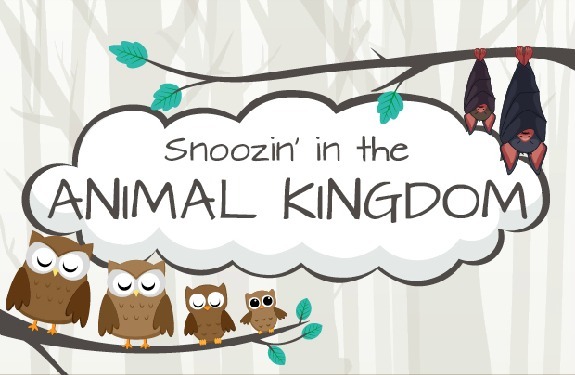 Snoozing in the Animal Kingdom – What animal would you be? Today I am bringing you this very cute infographic all about sleep, which has been produced in conjunction with Mattress Next Day, it explores the snoozing habits of a variety of animals, highlighting adult and infant sleeping habits. I love sleep too much, but after reading this information I think I would love to be a bat! Sleeping up to 19 hours a day……although life would be rather boring wouldn’t it! Sources from the National Sleep Foundation reveal in the piece that Dolphins can turn half of their brains off while they sleep so that they remember to breathe! Which animal would you love to be? Home » Home and Interiors » Snoozing in the Animal Kingdom – What animal would you be?